ABOUT: Plaza Central Dentists Maroochydore was opened in February 2015 with the primary aim of making high quality dental care affordable and accessible to all. We all know how expensive family dentistry has become in Australia and by opening Plaza Central Dentists we believe we have the solution. We offer a unique approach to dentistry offering the Sunshine Coast’s only true interest free payment option for dental treatment and dental plans for regular check-up and cleaning to help patients budget for their long term dental care. RESULTS: Ranking #1 in Google Organic and Google My Business for key phrases such as ‘Maroochydore Dentist’ and ‘Dental Practice Maroochydore’. With a brand new website launched at the same time that the business opened its doors, geoLocalSEO had this site take over the online visibility for all their search phrases in just under 3 months. With a brand new business and a brand new website, I gave Lisa one big challenge – I wanted to be on page 1 position 1 for my search term ‘Maroochydore Dentists’ yesterday. 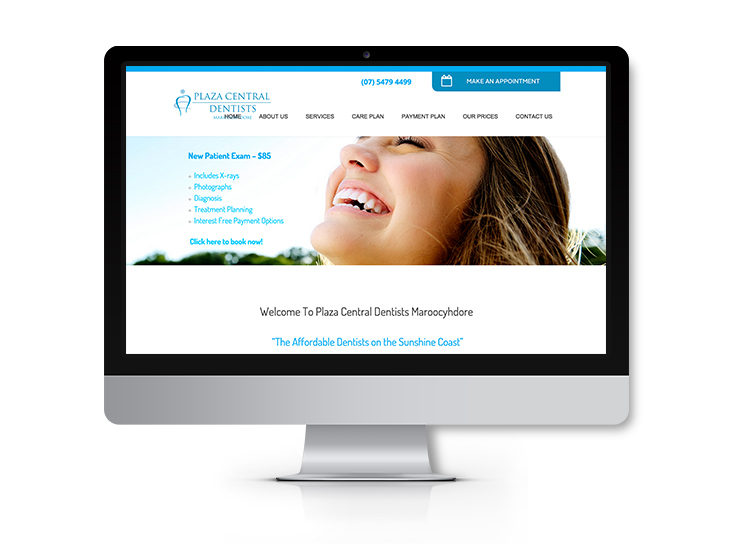 It was critical to our business success to get this new site ranking as soon as possible. She managed to achieve this in less than 90 days ad in no time at all, we were fully booked!